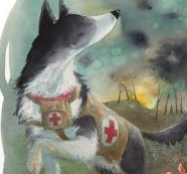 The First World War is a source of so many stories, both factual and fiction, and sometimes the best way to bring the period to life is through a storybook. Below are some suggestions for children and young people's further reading based on the prizes we have given out as part of our competition. Many thanks to the authors and publishers of the books below for kindly donating signed copies of their books as prizes. You can find stories that are generally appropriate for the younger end of our age range at the top of this list, and those for older students towards the bottom.